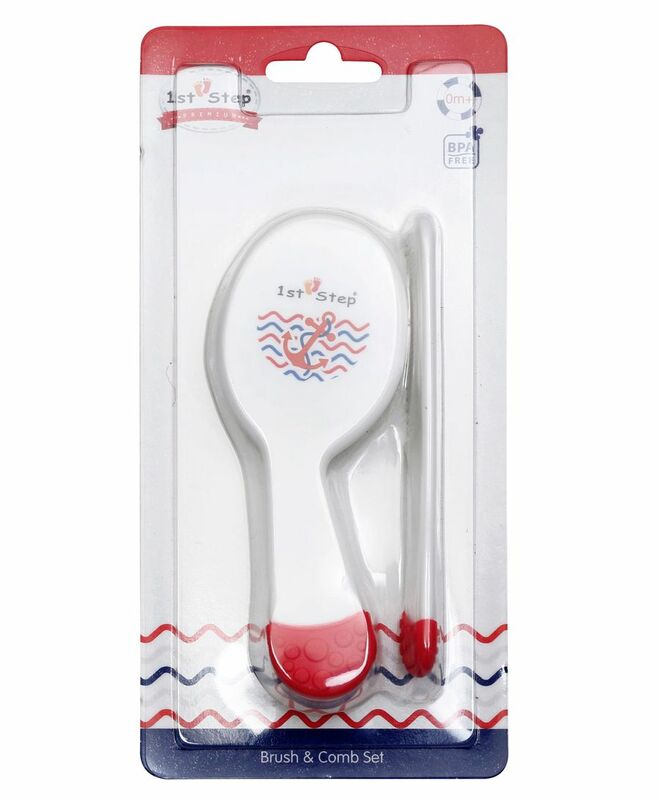 1st Step brush & comb makes it fun and easy to groom your baby's hairs the brush features soft nylon bristles to gently remove tangles. The comb has smooth teeth that comfortably glide through baby's hairs. brush is good but comb plastic is of low quality..